Memorial Day Blog Candy Surprise Box! It's a holiday weekend - YAHOO! I hope I'm not too late! I just found time to catch up on my mail after the weekend. Happy Memorial Day Anna!! Hope you have a fun and safe day planned. I know...only 1 entry...sorry. But I realized I was going to give my DH blog candy if I won! But it is not candy!! ROFL!!! Maybe he would start to stamp??? Thanks for the info on your cameras. My hubby is into photography and I'm going to get him to take a look at your blog. And yummy blog candy!!! If I win, I MIGHT give him some. Your photos (and of course your cards) are amazing. I enjoy visiting your blog daily. Wow--who wouldn't like to win blog candy! Pick me! Pick me! Thanks for sharing. You're very generous. Hi Anna! Love your blog...completely inspired by your farm life photos...I almost made my hubby stop the car yesterday to take pictures of the bluebells! Thanks for sharing the info about your lenses & cameras! woooHOOO! Better late than never! Love your creations Anna! I appreciate your simple style. Less is more. I love that toad! He is staring right at us! I hope you have a great weekend! Your blog is so inspiring and I love your photographs! Thanks for the camera/picture taking information. Sounds like it's just practice, practice, practice! What's blog candy? I love coming to your blog to see the beautiful photographs. Wish I could take pictures like you do. I will need to spend some time learning more about my camera and see if I can improve. Just love your photos and it was great fun to read what camera you use. The reason why I found your blogg was though that you make wonderful stamped cards! This girl from the up North loves the chance to win a goodie.... we have to travel at least 100 miles to be able to buy from even a Michaels so Blog candy is even more fun! What a great way to end this wonderful weekend! Your photographs are amazing! Thanks for sharing all that you do. I've been wanting to get a digital camera for a long time. You are my inspiration! Peace be with you and your family. WOW, your blog always amazes me. I love you cards and I love all the amazing pictrtures that you take, that little frog is sooo cute. TFS blog candy! Yummie Candy! Happy Memorial Day to everyone. What can I say about your cards that you haven't heard already? Nothing They are wonderful little pieces of art & I enjoy your creations so much. Your photography just takes my breath away! I sit & sit & sit looking at your pictures just soaking up all the colors, light, etc. When you posted about the passing of your cat, I was sad, because through your pictures, I had a sense of knowing what he was like. Have a wonderful weekend! face the same daily routines as their U.S.
interesting information about your camera. I too love photography and you make me want to take up my camera again with the same passion I used to have. Thank you. I hope you have a nice Memorial Day. May the sunshine for you and your family! Love your Toad pictures! I Toad-a-ly understand the need to get a picture before getting the eggs! You certainly have a big fan club, I've never seen so many posts! Your blog is a lot of fun, I can see why it's so popular. Thanks for sharing some blog candy. Happy Memorial Day Weekend! Thanks for sharing a glimpse of your life & interests through your blog...you are so very talented, and such an inspriation! Hi - I hope that everyone is having a wonderful weekend! I'm just back from a very "magical" Disney World trip with my 4 yr old granddaughter. I've done some stampin' and resting and life is GOOD! Anna, I just love your blog! You really give us a taste of living on the farm! I love your animal and nature photos, and of course your stamping too!! Love your shots! I haven't progressed to a digital SLR yet...but just purchased a Canon Powershot S3 IS in March and I love learning more advanced photography. This is my first post to a blog, so I guess you're a first also! Happy Memorial Day to you and I'm hoping to be lucky. I really enjoy your blog -- I check it almost daily. And your webstore -- great! It is memorial weekend and I am hitting the sack as tomorrow my band and I will be singing at a local fort in honor of our service men and women and our veterans. Hopefully it won't snow -- lol -- afterall this is the Upper Peninsula of Michigan and last Saturday it was 32 degrees! Hope you have an enjoyable weekend. Sweet! Thanks for the candy... wouldn't it be awesome if I won again! Thanks for all you do! Have a great long weekend. Hope to talk with you Monday night. Thanks for sharing all of your artwork in your blog! Wow! 270 comments so far. You have quite a following. I love your blog even though I've never commented before. You've given me lots of ideas for cards and I especially enjoy the photos of your animals. I so 'toadlly' love your blog. Your photos are simply amazing. Keep up the great job. Just wanted to chime in and say that I've truly enjoyed reading your blog. Your photos are so beautiful and inspiring. I love the photo a day. I admit to grabbing the camera to go see what I can see - no bears going over mountains, however. WOW! The anticipation is killing me. I love your blog and read it daily. Your photos are amazing and your cards are even better. I'm new to your blog and am loving it! Never have won blog candy, but it's worth a try, right?! I love visiting your blog and seeing your photo of the day. You made me homesick when I saw the Mimosa flower as I'm far away from Oklahoma here in Buffalo, NY! I hope you have a wonderful Memorial Day! Love these holiday weekends!Love your designs! Remembering all who have served to keep our country free! WooHoo - blog candy!! I just love your photos, there are ALWAYS beautiful and tell a story!! ps I love your cards and stamps too!!! 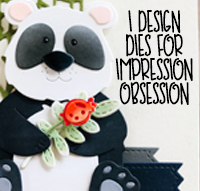 Your blog is so much fun between your beautiful cards and your goregous photos. Keep up the fantastic work! I've never won any blog candy and would be super excited to win some, especially from someone so talented! WooHoo how exciting. Enjoy your holiday weekend!!!!! You do such a beautiful job of coloring and your variety of cards are so much fun to look at. I can hardly wait to see your next entry. I love checking in on your blog to see what you've posted. Your photography is stunning and your cards are always so eye please! I always enjoy your blog updates. Your photos and your artwork are stunning. Thank you so much for sharing. Enjoy your Memorial Day weekend! OMGosh what fun blog candy. I can only imagine what it could be...Thanks for offering it up and for sharing your talent with all of us (your stalkers). Oh I love anticipation! Sounds like a great give-away! Thanks Anna! Your photography is AMAZING and so is your work. Thanks for the inspiration. Tell Ribeye I said hello. =) He is such a cutie!! I'm all for surprise blog candy, bring it on! Nice of you to share; have a great holiday weekend. Thanks for spending your time putting together such a great blog. I love looking at your photographs of your farm animals. Of course, I love your stamping projects as well. Anna, thank you for sharing your art: stamping and photos. I love it all. Since I discovered your site, I've looked forward to stopping by daily. B.T.W., I love that caterpillar - he is both beautiful and scary at the same time. Oh, oh, oh, I want the surprise blog candy!! As always, I love your blog Anna! You are such an inspiration in all that you do - photography, paper crafting, quilting... the list goes on and on. Thanks for sharing! ~Crystal M.
Honestly, I think you are living MY dream live. I'd love to live on a farm, I would love to have artistic talent, I would love to be a good photographer, and I'd love to be as cute (and as young!) as you! I enjoy your blog so much, and really like the farm pictures. I would like to be a winner of the prize, but I'll come back daily even if you never give away anything but share your talents. What I love about your blog is that it isn't just about the crafting - you open a window into your life and let us take a peek. I enjoy the animal pictures and stories almost more than the beautiful cards you create. Right now, my rescued stray tiger cat is bumping my hand to remind me he is sending purrs for Kimberly. Ooooooo! I love surprises!!! It's so exciting when it's a mystery!!! Thanks for letting us play Anna!! Getting to see the goodie box and enjoying your blog are too good to be true! Have a wonderful weekend...I know that I am going to try to do likewise. Happy Memorial Day Anna! Hope you and Alan are having a wonderful time together! I LOVE your blog. it is on my blogroll and I check it every day. you are soooooo inspiring. i love your amazing photos and your beautiful paper creations. you are a superstar. i like the others are very sorry to hear about kimberley. it is so hard to loose a pet. hope you have a wonderful holiday weekend. enjoy!!!! hi anna, i would love to play too! i love your blog and yesterday i noticed that you became a mod over at cs! iam thrilled! i hope i can upload my work there too. It is 8:00am here in Ct & I've just spent the last 2 hours at my local vet (where I work part-time) with 9 7 week old kittens!! It is their time to run around & get exercise & it is truly a sight when they get going!! This is a small country vet housed in a 1750 antique home & it was a great start to my Memorial Day weekend!! Hope yours is just as fun Anna!! This is still my favorite blog. I enjoy the photography, the stamping and the little stories of your life on Green Acres. Please draw my name. Your blog is so wonderful, I love the photos of all the animals, you are really such a talented photographer. 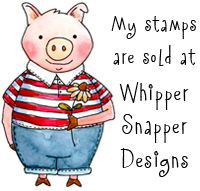 I also love all your images you make for whipper snapper. I am lucky enough to live close to a store that specializes in them. I can't wait to see what you do next! I love reading your blog! Such wonderful artwork and really enjoy your photography. Amazing!! Have a great holiday weekend! Hi, I have been checking out your blog for quite a while. I love your art and your photos. Thanks for the great offering of blog candy, also. Candy, no one needs it, but everyone wants it!!! Except when it comes to eye candy, as you know, I love to come here and get my pix fix - cards too! Give a salute this Memorial Day. We are in the frog/toad lover's group, too. We have a bullfrog in our pond that "barks" at us every once in a while. He often jumps into our neighbor's pond, which annoys us, since he's ours. Doesn't he know that??? Have a great weekend, and thanks for sharing your talents with us! Thanks for sharing your ideas and photos with us! Love your work! Anna, I hope you have an amazing holiday weekend. I love all the farm animal pictures. Anna, your photography is sooooo beautiful. What kind of camera do you use?? Love the color combos you use on your projects. Will be sure to come back to visit again. Have a wonderful long weekend. A long weekend. Isn't that great! I plan on doing nothing! How about you? OK, I probably will start planting some veggies and taking the cats for a stroll. Have a safe and happy weekend. P.S. I just read the post about Kimberly and I am terribly sorry. She had a long good life. Anna - THANKS for offering up this chance! Hope your holiday weekend was a GREAT one!!! I love surprises - can't wait to see what it is. Ooooh, surprise blog candy--love it and your blog! Being in Canada, our long weekend was last weekend. So while you guys enjoy your holiday Monday, think of all us Canadians working up North. I really enjoy reading your blog and your pictures are always a joy to see. And, I LOVED to win! Thanks for the chance at some "surprise" blog candy! Enjoy your weekend! Oh, my goodness, all these comments. I guess I don't stand a chance to win, but you never know, I might get lucky. thanks for the chance and hope you are having a nice holiday weekend. I love your blog,your photo's are great, I'm almost inspired enough to try the "photo a day", and see if I can improve my picture taking skills, and find joy in everyday, by really looking at all we have been given. Would love to win your "goodies"
Of course I have to enter for some awesome blog candy! 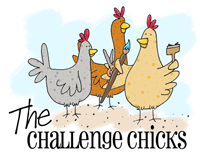 I just love to check in to your blog and see what fun pictures you've taken! I love your blog! I have been coming for a few months now! I love your pictures that you take too! I love your blog and check it daily!!!! I love the stamps with the birds the best (I think) although it is hard to narrow it down. The photography is also fun to look at. Thanks for the shot at blog candy!